In this article, erythrocyte Cb3 receptor cockade rate, erythrocyte immune compound cockade rate and autologous cockade rate are chosen as the indices in testing the immune condition in Zhineng Qigong masters, in chronic disease patients in Zhineng Qigong classes, in old people who have not practiced qigong and in blood donators. It is discovered that these three kinds of cockade rates in qigong masters are all extremely evidently higher than those in other groups (P＜0.001); the three cockade rates in the patients are all lower than the normal level before they learn qigong but are quickly restored to the normal level after they learn qigong. Among the three cockade rates, the change in the C3 receptor cockade rate of erythrocyte is comparatively sensitive; the three cockade rates in the old people who do not practice qigong and in the blood donators have no obvious difference. The result of this article reminds us that Zhineng Qigong has an enhancing effect on the immune function of human body’s erythrocytes and the immune function of their autologous cockade forming cells. 33 qigong masters who have practiced Zhineng Qigong for over two years, 51 to 80 years of age (64.5±1.0 years old). 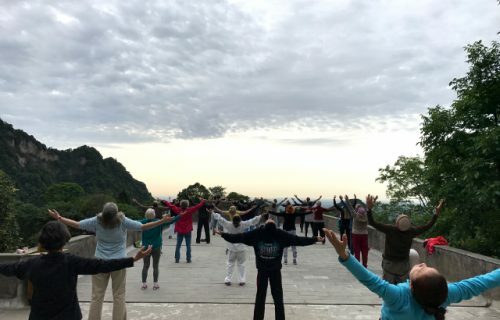 21 learners in Zhineng Qigong class, 35 to 76 years old (55±0.5) who suffer from different kinds of chronic diseases (arthritis, cholecystitis, pyelonethritis, diabetes, disease in cervical vertebra, sciatica, etc). The qigong class lasts 20 days. 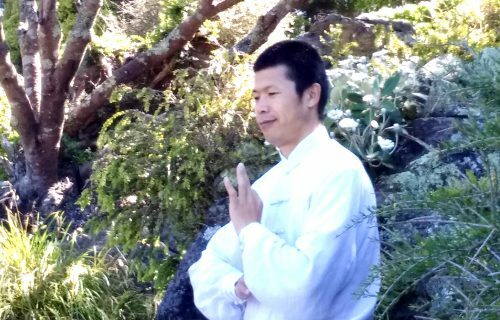 Tests are conducted on them before their qigong study, during their qigong study (on the 10th day of the Zhineng Qigong class) and after their qigong study (when they have studied qigong for 20 days). 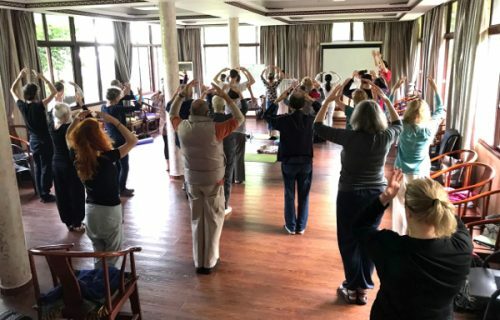 Old people who have not practiced qigong: 54 healthy old people in the staff of ZhinengQigongTraining School and their family members, 52 to 76 years of age. Blood donators who do not practice qigong: 53 blood donators from the hospital affiliated to our training school, 28 to 40 years of age (33.5±0.5). Heparin anticoagulant fresh venous blood: collect from the objects of the test. Lymph cell separating medium(Ficoll): produced by Shanghai Second Reagent Factory. Complement sensitized yeast reagent and non-sensitized yeast reagent: provided by Microbiological Teaching and Research Office of Chengdu Traditional Chinese Medicine College (Liquid reagent, yeast concentration 1×108/ml, sensitized by blood serum of guinea pig. It is sensitized on the day when the reagent is used). Collect a little autogenous blood plasma from the heparin anticoagulant blood sample. Then separate lymph cells and red blood cells from the blood sample according to the methods recorded in literature(1, 2). Wash and prepare the cell suspension of the concentration that is needed and conduct three tests of cockade. The test of erythrocyte Cb3 Receptor cockade (RC3bRR) and the test of erythrocyte immune compound cockade (RICR) are conducted according to Guo Feng Method(1), while the yeast reagent that we use is produced by Chengdu Traditional Chinese Medicine College. The test of the autologous cockade forming cell experiment follows the method adopted by Chen Ping, et al(2). The two kinds of erythrocyte immune cockade are judged by the standard that erythrocyte sticks to two or over two yeasts as a cockade. The autologous cockade is judged by one lymph cell sticking to three or more than three autoerythrocytes as a cockade. The three cockade rates involve counting 200 cells respectively that will be tested before the rate of cockade will be counted. The experimental data are checked and processed with variance analysis and rank sum test on computer in the Sanitation-and-Statistics Teaching and Research Office in our school. are compared with each other (Table 2). The average and the standard deviation of the three cockade rates at different stages when patients are learn qigong (See Table 3). the old people who do not practice qigong. Mix them up and number them with blindfold method. Here is the result of the three cockade rates in them (Table 4). Test of the three cockade rates in the 17 qigong masters again after two months. Compare the result with that of the qigong masters in IV (See Table 5). Note: When the blood is collected for the second time, a qi field is just being organized. The blood sample is collected in the state of a qi field organization. Ever since 1981 when Siegel put forward the concept of erythrocyte immunity, research into it has been developing in a fantastic speed. It is now known(3) that erythrocyte has such functions as distinguishing antigens, adhering to and killing antigens and clearing the recycling immune compound. The more advanced the animals, the more wholesome the immunity function of their erythrocytes. Erythrocyte, being multitudinous in number in the human body and wide-spread in their distribution, has the immune effect that in many aspects can not be replaced by leucocytes. Erythrocyte also takes part in the immunity adjustment of the human body. It also has in itself a self adjustment system. In the research into the mechanism of many diseases, the immunity factor of erythrocytes has once been neglected. For example, weakness in the immunity function of erythrocyte exists in autoimmunity disease such as SLE and rheumatoid arthritis, in infectious disease such as hepatitis B, and in many kinds of cancer. This not only directly affects the immunity effect, but causes the function of lymph to become maladjusted. To explore from the perspective of traditional Chinese medicine, the immune function of erythrocyte can best reflect the abundance and the absence of qi and blood in the human body. A lot of patients who suffer from the weakness in the kidney are weak in their immune function of erythrocyte. In the experiment reported in this article, according to the fact that qigong has the function of clearing jingluo and adjusting qi and blood, we choose two most fundamental indices to test the immune function of erythrocyte, ie., erythrocyte Cb3 receptor cockade and erythrocyte immune compound cockade, and test Zhineng Qigong masters and the chronic cases who attend Zhineng Qigong classes. At the same time, some healthy old people who do not practice qigong and the blood donators are chosen to compare with them. It is found that the two kinds of erythrocyte immune cockade rates in the qigong masters are both rather evidently higher than those in the other groups (P=0.0000); the two erythrocyte immune cockade rates in the patient group are both lower than the normal level before they started learning qigong, yet are both improved after they practice qigong and the rates have reached or even surpassed the normal level. These two facts above show that qigong can improve the immune function of erythrocyte in the human body. Particularly with qigong masters who have long practiced qigong, the condition of qi and blood in them are more exuberant than the healthy old people and the blood donators who are in the youth and the prime of their life. In addition, in the two indices, the change in erythrocyte Cb3 receptor cockade rate seems to be more sensitive, as it can be seen from Fig.1 and Fig.2 that this cockade rate has become evidently improved when the patients have learned qigong for only ten days and is restored to the normal level. When they have practiced qigong for 20 days, this cockade rate in them has even surpassed the normal level. From Fig. 5 it can be seen that this cockade rate is evidently increased when a qi field is organized in comparison with the first test result when the qi field is not organized. group and community effect and teaches qigong and cure patients when the qi field is organized. 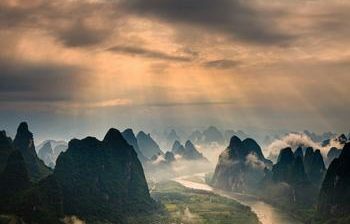 Zhineng Qigong teachers mobilize hunyuanqi in nature and the qi of the people who are present with their mind to form a unified qi field. To teach qigong and cure disease in the qi field can get twice the expected result with only half the effort. In 1970, Siegel and Micklem observed respectively that the cells in rabbits’ chest gland and the T cells in mice adhered to the erythrocytes in their own body (4，5). Later on, some scholars did research into this phenomenon and believed that this is related to subgroup of T cells. Caraux and Palacios did relatively systematic research in 1979(6) and 1980 (7) respectively on human being’s autologous cockade forming cells (ARFC). It is now believed that ARFC belongs to a sub-group of T cell. It has the differentiation antigen (CD3+, CD4+, CD8+) of post-prosoma-cell in the thymocyte. It is closely related to self-recognition. Aside from its ability of forming its own cockade with the erythrocytes in itself, ARFC can multiple when it is activated by the DR antigen in itself and cause the reaction in autologous mixed–lymphocyte. ARFC can differentiate and form the two kinds of important cells of CD4+and CD8+ that take part in the immunity adjustment in the human body. CD8+ cells can transform into simultaneous killing cells that has the function of killing cancer cells. Therefore ARFC plays an important part in the immunity of the organic human body. Reports on ARFT being applied in the research of disease are not many. In China, we only find the test report on 105 cases of cancer written by Shi Cunjia, et al. (8), in which it was found that the cockade rate of the patients of cancer is obviously lower than that of the healthy people; particularly in those patients who suffer from liver cancer, nose cancer, pharynx cancer and malignant lymphatic tumor, the cockade rate is extremely low. ARFT being used in the research into qigong’s effect on immunity has not been found in reports both home and abroad. This simple and new index is chosen by authors of this article to conduct test on Zhineng Qigong masters, on patients who suffer from chronic diseases and who learn Zhineng Qigong in Zhineng Qigong classes, on old people who have not practiced qigong and on blood donators. It is found that the cockade rate in qigong masters is obviously higher than that in each of the other groups (P＜0.001). The autologous cockade rate in the patients is evidently lower than the normal level of healthy people but is restored to the normal level after they learn Zhineng Qigong. Although the autologous cockade rate of the old people group is higher than that of the blood donators group, it has no significant difference in statistics. 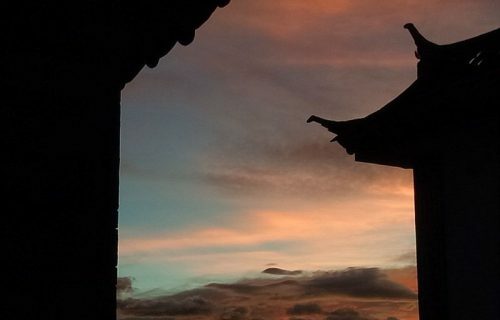 All of the above evidence shows that qigong can restore patients’ autologous cockade rate to the normal level; particularly that qigong masters who have practiced qigong for many years can keep their autologous cockade rate at a level higher than the normal level. 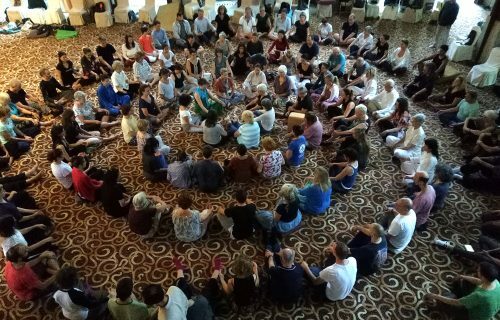 This indicates that qigong practitioners exceeds people who do not practice qigong in producing and restoring autologous cockade forming cells that have the immune potentials. 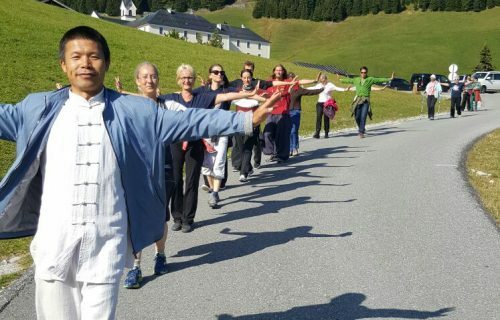 Therefore qigong practice has good effect in restoring the immunity balance of the human body, in maintaining human body’s stability in health and in preventing and curing cancer. As the three indices of the qigong masters are all obviously higher than those of the other groups, we arrange two other experiments (as shown in Fig. 4 and Fig. 5) in order to get rid of the influence of the experimental condition and to prove the reliability of the experiment. In Fig.4, it shows that in the same batch of experiment qigong masters and the group of old people are tested at the same time. The samples are mingled and numbered with the “blindfold” method. As a result, the three kinds of cockade rate of the two groups of people are widely different. Those rates of the group of qigong masters are still evidently higher than those of the old people group. the results of the two tests, except for erythrocyte Cb3 receptor（It has previously been discussed that this cockade is comparatively sensitive because of the influence of qi field organization）, the other two cockade rates do not show evident differences. Tests recorded in Fig. 4 and Fig. 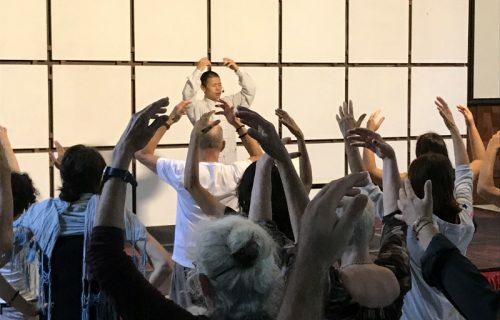 5 show that qigong masters’ three indicies are higher than those of the other groups, as is an objective existence, with liable experimental result. The research into the immunity effect of qigong in this article is not only novel in the index it has chosen, but also creative in the design of the experimental subjects that are tested. 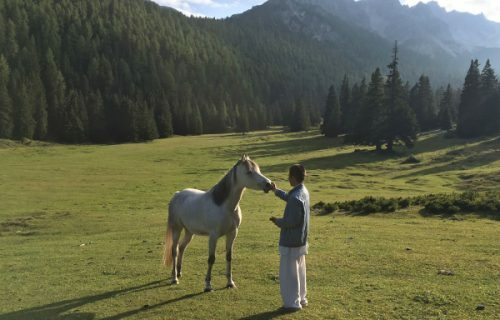 With the active assistance of Zhineng Qigong Research Association of Sichuan province, we are able to research the immunity change in several dozens of well-trained Zhineng qigong masters, which is impossible to be conducted abroad and also a very rare chance in China. And moreover, the experimental result can serve as an evidence to prove the immunity effect of qigong. Therefore, this report may be able to play a role in exerting its due function to develop Chinese culture and to explore qigong’s mechanism. Since the index of this research needs the sample of blood, which makes the choosing and mobilization of the objects of experiment become rather difficult, restrictions are found in the number of samples, the choice of cases, ages, sexes and grouping of the experimental objects. Besides, what is recorded in this article is just the research into Zhineng Qigong, research into other schools of qigong and as well sportsmen are still needed in order to make further exploration into qigong’s immunity mechanism. (2) Chen Ping, et al., Experiment on the Formation of Autologous Cockade and Related Research into the Reaction of the Autogenous Mixed-Lymphocyte, China Medical Test Journal, 1992; 15(3), 153. (3) Guo Feng. Stress Should Be Laid on the Research Work of the Immunity Function of Erythrocyte, China’s Immunity Science Journal, 1991; 7(supplementary issue): 1. (4) Siegel I, The Selective Adherences of Thymocytes to Autologous Rabbitredcells and Autologous Mast Cell. J Cell Biol 1970; 47:191a. (5) Micklem Hs, et al. Quantitative Study of Cells Reacting to Skin Allografts. Nature (London) 1970; 227:947. (6) Caraux J et al. Human Autologous Rosettes. Mechanism of Binding of Autologous Erythrocytes by T Cells. Cell Immunol 1979; 45:36. (8) Shui Chengjia, et al., Observation of the Autoerythrocyte Cockade in 105 Patients Who Suffer from Cancer, China Medical Test Journal, 1991, 7(supplementary issue): 90.